Do I Really Need Cricut Access? 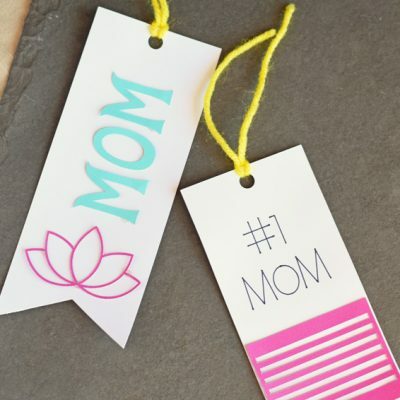 Ever wondered if the benefits of Cricut Access outweigh the cost? Do I Really Need Cricut Access to create projects in Cricut Design Space? Read more about it in this post. This post may contain affiliate links. Cricut Access is a monthly subscription plan that gives users a wider range of images from which to choose when making a project. The subscription page boosts of “unlimited access to over 30,000 images, over 1,000 Make It Now™ projects, and 370 fonts, ” but is it really worth the $7.99 a month price? 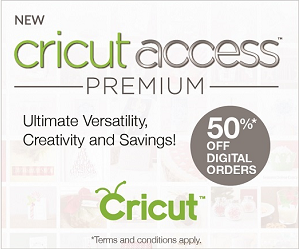 Which Cricut Access Plan Is Right For Me? Click here for a break down of the new plans! If you’ve arrive here looking for a resounding “YES!” or “NO!” then you’re going to find that the answer is not cookie cutter. In my experience, the need for Cricut Access varies from person to person, depending on the user. Do I use my Cricut Explore Air for more than 3 projects a month? Do I feel limited by the number of “free” images in the Cricut image library? Would I use my Cricut Explore more if I had access to more images? Would I be more likely to make personalized gifts for others for holidays and special occasions if I had access to more images? If you answered “yes” to at least two of the above questions, then purchasing the Cricut Access plan may be beneficial to you! Let’s take a look at why. For instance, we are nearing the month of October. 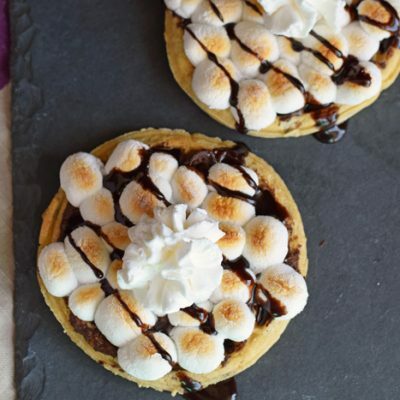 It’s officially pumpkin season! From pumpkin shirts to pumpkin carving, there is a plethora of of pumpkin projects just waiting to be made! If you do not have Cricut Access, here are the FREE pumpkin images available for use. For those with Cricut Access, the choices widen considerably! These screen shots are just two of the pages; there are many more! I can see myself using my Cricut every day with this wide range of images. The pumpkin carving faces are too cute! For me, I use my Cricut at least a few times a week. Last weekend, I used it for 4 projects, and my daughter used it for a school project. I currently have 3 projects saved in my queue waiting to be cut. For over half of these projects, I’m using an image that I would have had to pay for individually had I not had Cricut Access. Do I rarely use my Cricut? Do I only use my Cricut to make things for the occasional party? Do I have a huge stash of Cricut cartridges that I’ve linked to my account? If you answered “yes” to any of the above questions, then Cricut Access may not be for you! OR you may simply want to subscribe by the month. That’s right! You can subscribe yearly or monthly. For instance, you may want to subscribe for the month of October to have access to all the pumpkin carving faces or pumpkin stencils. 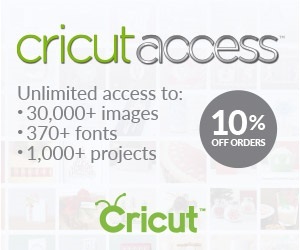 Both the yearly and monthly subscriptions come with 10% off purchases on Cricut.com and Design Space. Monthly Cricut Access is $9.99/month. Yearly Cricut Access is $7.99/month. Looking for more Cricut Tutorials, Information, or Projects? I have a page for that! Click HERE! I have a cricut and have always wondered if the access is worth it. Thanks for walking em through its features! Back in the day, I used the very limited clip-art in Word for school projects. Wish I had this. This is awesome! A whole world of images for less than $10 a month. Nice. So many options! I love it! I think having access to cricut for the personalization is worth the subscription! I would find lots of uses if I subscribed. You can, especially if you are looking for more font options. I really nee to look into this a little more. I use my Cricut a lot, but in bursts through out the year, not consistently. I wish I had a crafty side, I just don’t! 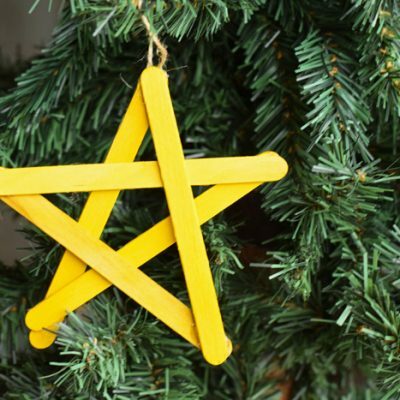 Love what the Cricut machines can do though…just amazing! I think I’d probably start out doing that but watching carefully to make sure I use it enough to warrant it. I’ve been known to pay for things for far too long without using it. I was curious about if it was worth buying – I just got my first Cricut. Thanks for all the information – definitely have a better idea of what I want to do now. Sounds like a great program. I may think about it down the road. Thanks for sharing! I was about to purchase the Cricut Access because I found the free coupons and the free 2 week trial showed me that I really would use it. But my question is this: Supposedly Cricut is about to make some huge change to Cricut Access. Do you have any information about this? And how would it affect my subscription? Thank you in advance for your help. What a great resource. You piqued my interest with the school projects bit — I don’t have a Cricut, but now I want to look into one! You are welcome. I hope that you found this helpful! Enjoyed your article. I do have a large collection of cartridges but I also have a large collection of sag files and computer fonts. With all of this I was thinking I really wouldn’t need the subscription. Also have a silhouette with a large library of files which I believe with the designer edition I can export as sag files. Would you please comment on this?? Thanks. Hi, Lucy! Anything that you can download as a SVG file you can upload to use in Cricut Design Space. I’m not familiar with the Silhouette Designer Edition. I’ve used a Silhouette in the past, but I never experimented with it to try downloading anything, so I’m not sure what the Designer Edition will let you download. But if you try it, and it downloads as a SVG file, then you can upload it to the Cricut Design Space. However, STUDIO files will not be Cricut Design Space compatible. Yes, definitely link your cartridges to Cricut Design Space. I need to do this myself! If you have a large collection, then you may not need the monthly subscription. I find everything I need from the internet. i have downloaded hundreds of free svg files and free fonts. Dafont.com is the best place for free fonts. I do not have Cricut Access and I feel like I am not really missing out. Can Dafont be used with the Cricut Mini in the Craft Room? This was very helpful. Thank you very much. I use design space almost everyday. The yearly membership is definitely the way to go for me. My subscription runs out every year around Mother’s Day so that is my Moms day gift!!! Yes. You download the font to your computer first. Then you need to refresh Design Space. The font you just downloaded should now be in your list of fonts. Hope that helps. I’m the same. Being in graphic design I find no use for Access. Do you use Illustrator? Also, do you ever have issues with fonts? One more question, does Design Space only work with internet access because it runs on their servers or is it that it runs through a browser? Thank you. I’m wondering about fonts. I understand images must be SVG format, but can you use regular computer fonts with the Cricit Explore Air II? Getting one as a late birthday present. Thanks in advance. Hi, thanks for asking. The answer is “Yes!” Any font that you have downloaded on your computer, Cricut Design Space accesses them when you sign in. You can use them in Design Space at no cost. I’m not sure how would I do that? I have an “á” in my name and yet I can’t get the accent mark when I’m using the scripts. It shows it in the text box but it doesn’t show up on the screen that way. Any ideas. It’s hard to word it correctly so I hope you understand what I’m trying to say. Hi, I understand what you are asking. I am not sure. Let me check with someone and I’ll get back to you. Hi, Maria, I checked and the only thing that I can figure out is that you may need to “hack” the symbol. In other words, use an apostrophe in a text box that you place over the letter and then attach to the word. Does that make sense? I also had someone mention using the character map on your computer, but it sounds like you may have tried that? Note that the tutorial is on the computer only. I am an Android user, so I do not have access to the app on the phone/iPad, but you could try the method in the tutorial to see if it works if you are using an iPhone/iPad. This was exactly what I have been looking for! I hate spending money, especially on something that I’m not sure I’ll even use. My husband got me a cricut for Christmas and so far I’ve made many things with it! Of course, just two days ago my Access trial ran out. After reading this and answering the questions appropriately I’ve decided to just go ahead and do it!! All of the extra options are well worth it. I’m glad that you found the article helpful. Happy crafting with your new toy!! Hi! No, unfortunately, they would not. You would only have access to the images and fonts while subscribing to the plan. However, any images and fonts that you purchase individually would be permanent. If I use a font or image while using Cricut access for a project and save that project would I have access to it if I no longer use Cricut access? If it is not a free image, then it will show a charge and you’ll have to purchase it if you no longer subscribe to Cricut Access. 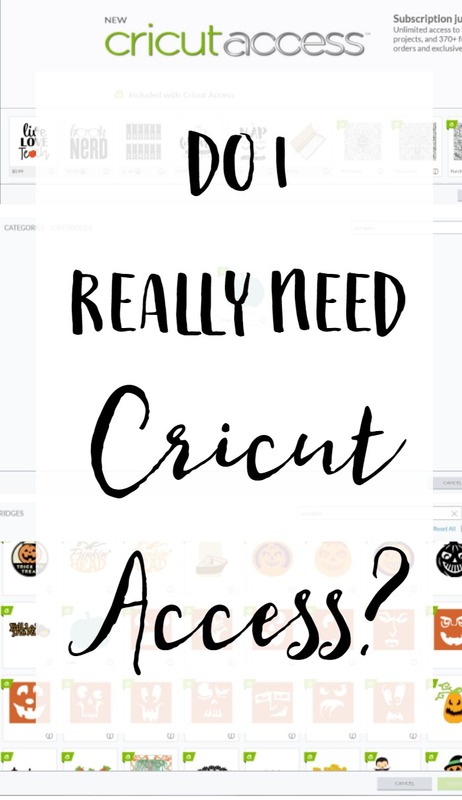 I use my Cricut Explore every day……and usually use access every day….would not want to be without it. Linda – Did you subscribe to the premium or standard access? Hi, at the time of this post, only standard was offered. I am still on that as far as I know (I’m subscribed for a year). Hi I was wondering if this subscription is worth it when I am wanting to make onsies and t-shirts. Is there alot baby files on here? Hi! Yes,there are lots of available baby-related files. It is also great for different fonts. If you are wanting to do mainly worded shirts, there is now a Cricut Font Subscription, too, that is a bit cheaper (you can read about that here: http://ithappensinablink.com/which-cricut-access-plan-is-right-for-me/ ). You can always subscribe for a month and see if you use it as much as you think that you will before committing to a full year. Thank you so much, I can’t wait to get started! I am a newbie to the Cricut world… I thought I did not need Access because I have used computer based design programs.. but as a new user I found out that making the projects using the Access subscription was well worth the cost… it helped me get to know my machine and boosted my confidence in making more complex designs. 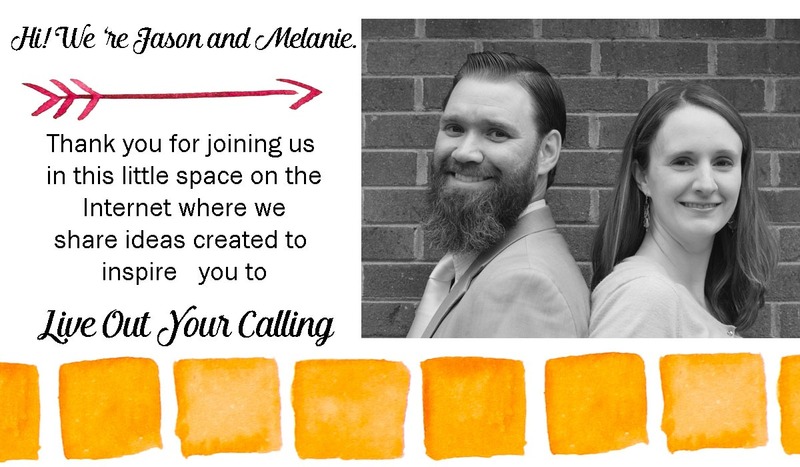 Thank you for chiming in with your experience! You are very welcome! Happy crafting! I was wondering. If you subscribe to it a month here a month there. Do you get to keep the images or are they just available during your paid month? Or can you purchase an image here and there when needed? Hi, The access images are only available while you are a subscriber. Even if you use an image while you are a subscriber, if you do not subscribe the next month, then you would not have access to that image unless you paid for it. Any images that you pay for individually are yours whether you are subscribed or not. Hi, you may have covered this but I’ve read so many comments that I can’t remember. Are all of the Cricut cartridges available in Design Space? If not, how do I find out which are and are not? Any cartridge that can be “linked” is available in Design Space. I have been using a Cricut since the Expression, and all of those cartridges linked (meaning the images were available in design Space and just had to be linked to my account. So I have had the yearly subscription for two years and I do like having it. There are other benifits to having the access. 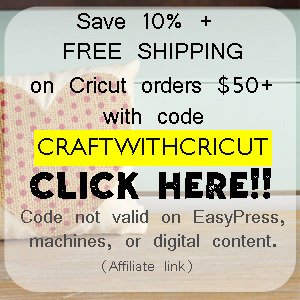 You also receive a 10% discounts when you purchase on the Cricut.com website. I did often use the access because it gave me more options and I also used it to get the 10% discount when I purchased cartridges and materials. The other thing to consider thoughis that you can search online for jpeg images and upload to your Cricut project for free, which I did often as well and you don’t need the subscription. This didn’t cover the part about what if I have my own graphics and have no need for Access? I am looking to see if I can use it without it and I guess the answer is yes. I already have access to thousands of graphics via sites like freepik and vecteezy. I just need to know that I can use them without having to have Access, otherwise, it’s one expensive brick. The Design Space being online only is another horrible idea that I am not too fond of. Thanks. Hi, you can use the Design Space with your own images and fonts. You can actually download Design Space without purchasing a Cricut if you want to view it first. For more information on uploading images or photos, you can see these posts: http://ithappensinablink.com/how-to-upload-svg-files-or-images-in-cricut-design-space/ or https://ithappensinablink.com/how-to-upload-your-own-images-into-cricut-design-space/ . Hi, I’ll be totally honest– I only use Design Space on my laptop. I have a hard time working on a mobile device, and not all the aspects of Design Space that are available on a laptop are on mobile. I find it difficult to visualize my project and work on mobile. I actually downloaded the app on my phone and then deleted it. Of course, this is all personal preference. I know several people who only use the Design Space on mobile. As far as the free fonts and images, if you use Design Space Access, then those images are in the Design Space system and are not stored on the iPad. Images that you download from another source can be uploaded to Design Space (and then deleted from your phone if you wanted). However, the fonts are not uploaded. Rather, Design Space pulls them from your computer when you are using the text function. Therefore, the fonts would have to be stored on the device. A mobile device would not be able to store nearly as many fonts as a laptop would. These are the reasons my preference would be to have a laptop. But it is all in what you become accustomed to using. Once I subscribe to cricut acess are the fonts and images free, or will I have to pay? Hi, they are free while you are subscribing, but if you ever cancel your subscription they are not yours to “keep” and will go back to the original individual prices. I just received my cricket. I have been playing around with it. If I by the access will I have to pay for making my own sayings and signs? I also am using a tablet. Or can I use a older computer? Hi, the Access is to use some of the images/fonts. Designing in Cricut Design Space does not come with a charge. Hi, once you have the access subscription, the choices provided within that subscription do not have a charge. Many of the projects are free, though not all of them may be. Each project uses different images and fonts, and if the images and fonts used in that project are in the Cricut Access subscription, then the project will be free. The images and fonts available in the Cricut Access subscription are plentiful. I’ve never had to pay for any additional images because the choices in Cricut Access are so substantial. How much are the images once a memeber for access. Like if i had to puchase an image what does it generally range in coat? Is this the only website to use for a cricut maker? It depends if the image is “licensed” or not (like a Disney image). Those are more expensive typically. An individual regular image is usually 99 cents or $1.99. Font sets are higher. I am new to the Cricut scene. Learning how to use my Explore Air 2. My question is: can I use images from Cricut Access for items I plan to sell or is there a different option for accessing images for commercial use? Do you use font manager software on your laptop? I am just getting started with Design Space and I have Windows 10 and need any helpful hints you can give! No, I do not. Cricut Design Space pulls them all into their software, and other than dividing them between system fonts and Cricut fonts there is not really a way to organize them within the Design Space software. Can I use my Cricut for cutting my own fonts in Photoshop, or do I need Cricut Design Space?